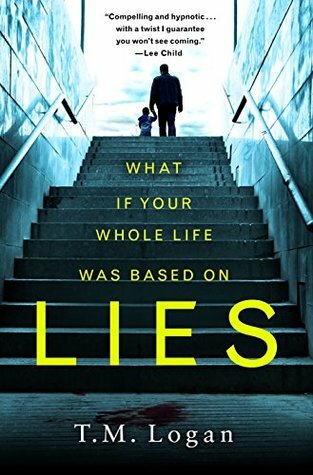 When picking up a book simply titled “Lies” it was pretty safe to go into this one expecting not to trust anything or anyone. The story got off to a decent start that got my curiosity up right away. Joe Lynch was traveling along with his son when they spot a mommy car but it’s not just any car that looks like it belongs to Joe’s wife but really her in her car. With his young son excited over the prospect of seeing mommy Joe follows his wife to a nearby hotel thinking she was going to a business meeting. TM LOGAN was born in Berkshire to an English father and a German mother. He studied at Queen Mary and Cardiff universities before becoming a national newspaper journalist. He currently works in communications and lives in Nottinghamshire with his wife and two children. LIES is his first novel. Nice review Carrie. I’m glad I wound up not requesting it though. I appreciate your thoughts on this one, Carrie, because I’ve been curious about it! Thanks Jennifer, it’s not bad at all really it just really drags in the middle and if that hadn’t happened the ending might have caught me more by surprise. Nice review Carrie. I am glad it picked up for you, but too bad it got a bit lost in the middle. Great review Carrie. I read this quite a while back, can’t remember much about the plot though I also didn’t enjoy it as much as I thought I would. I agree with you though, that opening was great!